Mid Coast Hospital is located in Brunswick, Maine, 25 miles north of Portland. 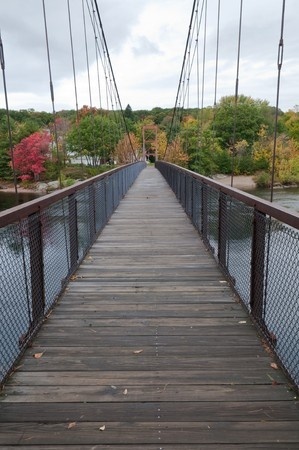 Brunswick is the gateway to Maine's Midcoast region and sits on the northern rim of Casco Bay. The town has twice been cited by Money magazine as one of the top U.S. communities in which to retire and has been named one of America's "20 Best Small Towns" by Smithsonian Magazine. Proximity to the ocean and mountains attract lovers of the outdoors to our area as well. The islands in Casco Bay are sometimes called the Calendar Islands, a reference to the popular claim that there are 365. Suffice it to say, there are plenty of interesting spots to explore by private boat and ferry, including Eagle Island, home of arctic explorer Adm. Robert E. Peary. The greater Brunswick area offers abundant cultural opportunities, both on the Bowdoin College campus and through arts organizations like the Mid Coast Symphony Orchestra and Chocolate Church Arts Center. Just north of Brunswick, the city of Bath is home to the Maine Maritime Museum, as befits a former shipbuilding capital. Neighboring Freeport is a popular shopping destination, home to L.L.Bean. The larger cosmopolitan area of Portland is a 30-minute drive south and Boston is a 2 ½ hour drive—or a pleasant journey on the Downeaster passenger train. The town of Brunswick, settled in 1628, is rich in history. Mansions built in the Federal, Greek revival and Italianate styles line historic Maine Street, where the landmark First Parish Church presides at the head of the town mall. Across the street is the former residence of General Joshua Chamberlain, now a museum. As mentioned above, Brunswick is home to Bowdoin College, founded in 1794. Bowdoin alumni include Henry Wadsworth Longfellow, Nathaniel Hawthorne, Robert E. Peary and Joshua Chamberlain and, more recently, Maine statesmen, George Mitchell and William Cohen. Bowdoin College is also home to the Peary-MacMillan Museum. Harriet Beecher Stowe wrote Uncle Tom's Cabin in a house on Federal Street while her husband, Calvin Stowe, taught at the college. You can learn more about the area by visiting the Brunswick Downtown Association and the Southern Midcoast Maine Chamber websites, and by subscribing to The Brunswick Blast! newsletter, published by the Brunswick Downtown Association.